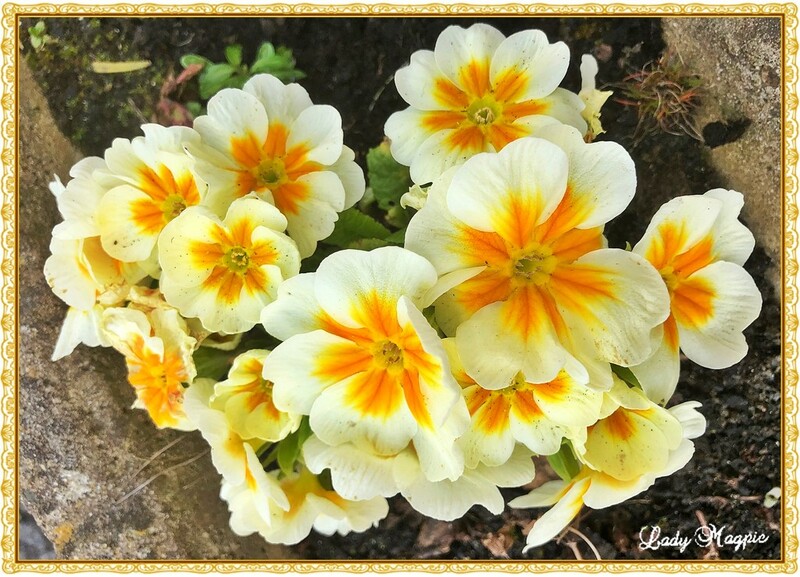 Spring is definitely in the air and my primroses are back in bloom for another year. I planted these at the beginning of last year and this is the third time that they have burst into flower. Wish I could get through a winter without wilting, unfortunately I've got to that age when hibernation is the best remedy for the cold and I almost don't put my toe outside. These flowers must be very hardy and have visited my patio again to brighten all my pots. It must be Flower Power that puts a smile back on my face in Spring. Beautiful strong colour in the centre Heather, I think primroses have done especially well this year! What a cheerful image with those colorful centers!